If you have checked out the recipes being created for the Canadian Lentils contest you’ll notice how creative everyone is getting. Keeping that in mind I wanted to kick my entrée recipe up a notch. Something quick, easy and crazy delicious! The pineapple in store right now is absolutely gorgeous so I started with that in mind. 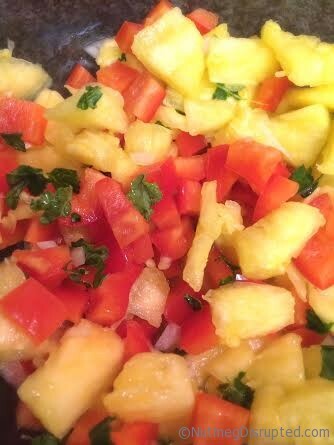 Thinking I want a lot of color in the dish pineapple salsa seemed the perfect choice. One of my favourite things to go with pineapple is coconut. The rest fell into place after that. 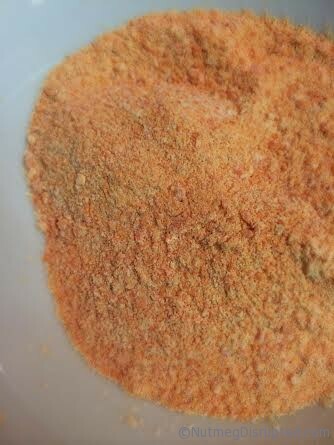 I ground red lentils into a flour and Lentil Coconut Shrimp was born. 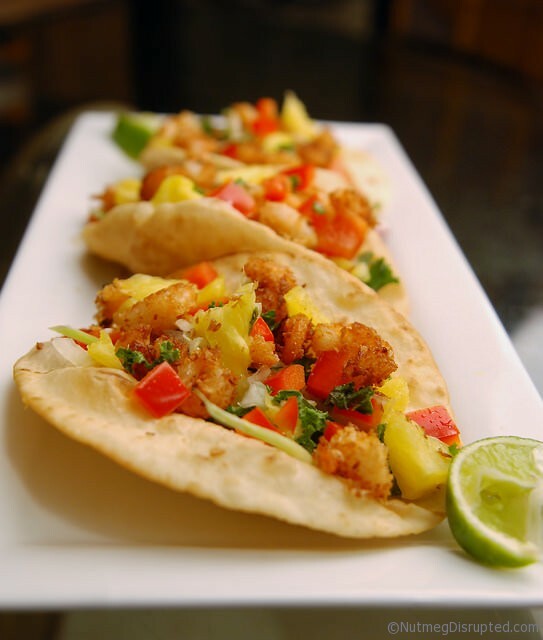 Nesteled in a nice lightly fried tortilla with a gorgeous pineapple salsa and finished with a squeeze of fresh lime to make a sweet tart crunchy taco. Total hand held perfection. Place the lentils into a blend and process until it become fine like flour. 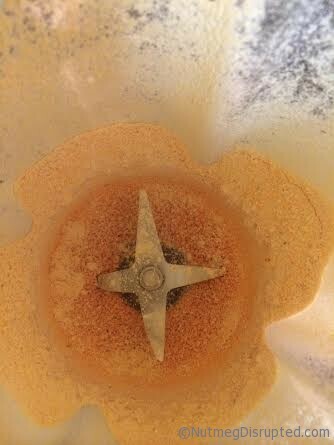 In a medium sized bowl combine the flour, cornstarch, baking powder, salt and cayenne. wisk in the water and oil, mixing until smooth. Place the coconut into a bowl. Dip the coconut into the batter then coat it in with the coconut. Set in a bowl, battering and coating all the shrimp. Using a large skillet heat oil to 375 degrees. Fry the tortillas until lightly browned, flip over and fry until the second side is browned. 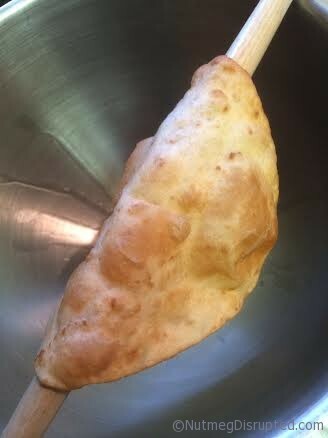 Using tongs take the tortilla and drape it over the handle of a wooden spoon suspended over a large bowl shaping it into a traditional taco shape. Fry all tortillas. 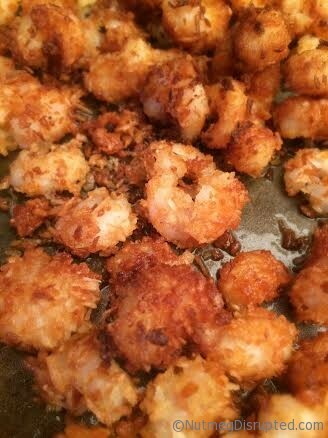 Now fry shrimp a handful at a time until golden brown. Add some greens down the center of a fried tortilla, ie: chopped kale, lettuce, shaved brussel sprouts, whatever you have on hand and enjoy. 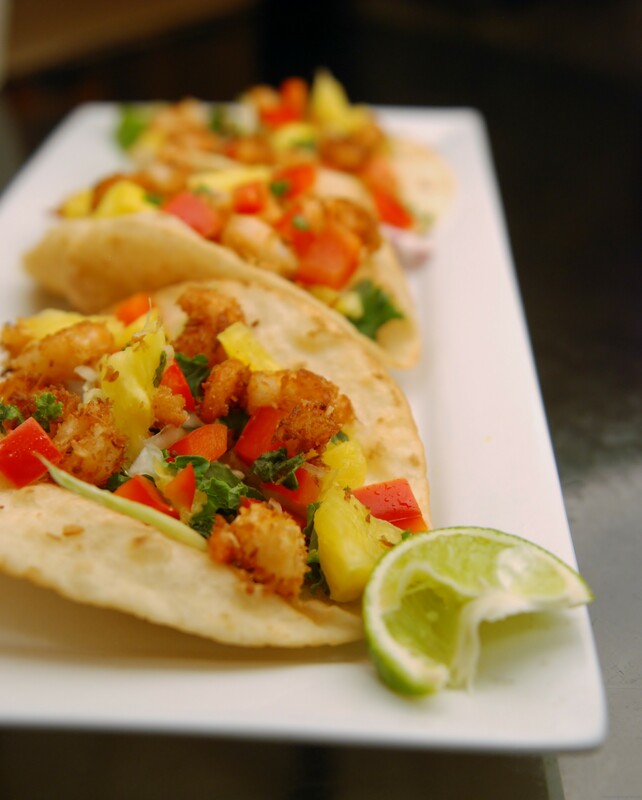 Place a large spoonful of pineapple salsa on top of the greens. Top with lentil coconut shrimp! Squeeze a wedge of lime over the taco. Combine everything in a bowl adding salt at the end to taste. Serve in Lentil Coconut Tacos. Be sure to check out my dessert entry Crispy Maple Lentil Crème Brulee. It is as good as it sounds!